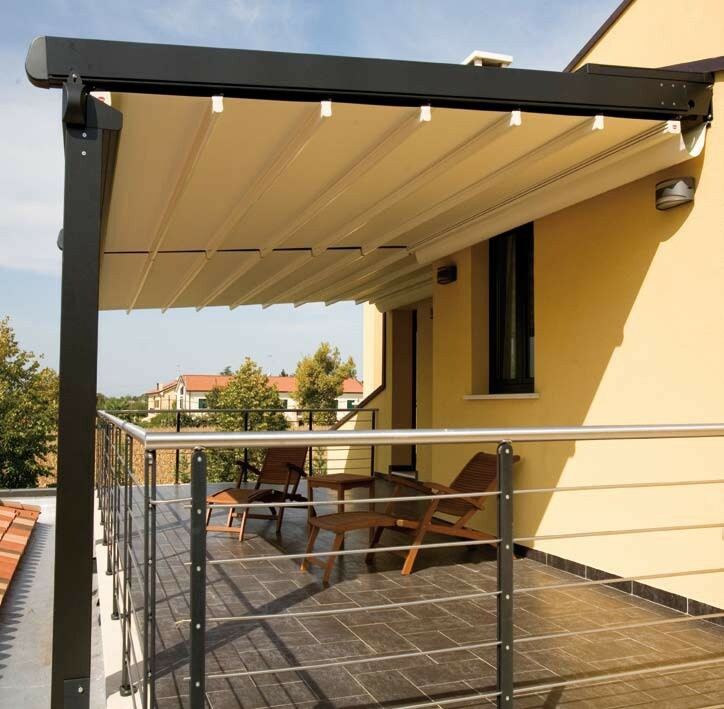 The all Weather solutions from Samson offer a range of highly adaptable and developed products offering substantial protection in a variety of different weather conditions ranging from the bright hot sun, cold rain showers, strong windy conditions or even snow! 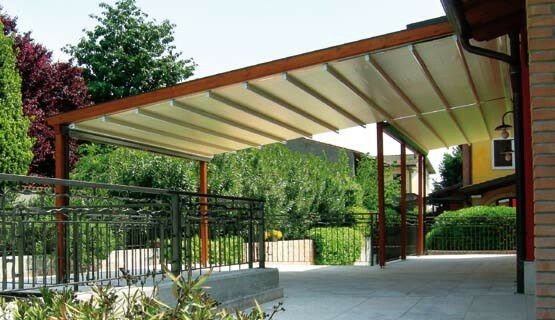 During the humid warm days in the summer, shelter from the sun can often be underrated. 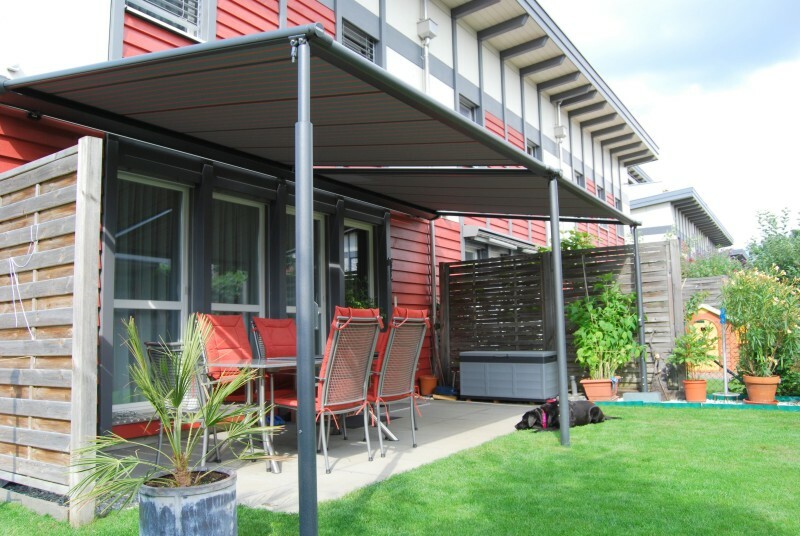 Whether it is provided by a patio awning or static garden terrace cover, the cooling comfort of shade can offer a reprieve from the heat when relaxing in the garden. 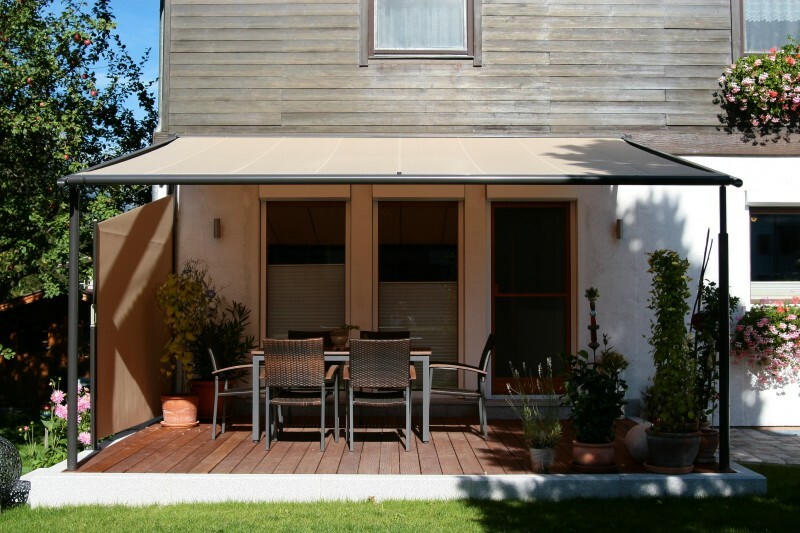 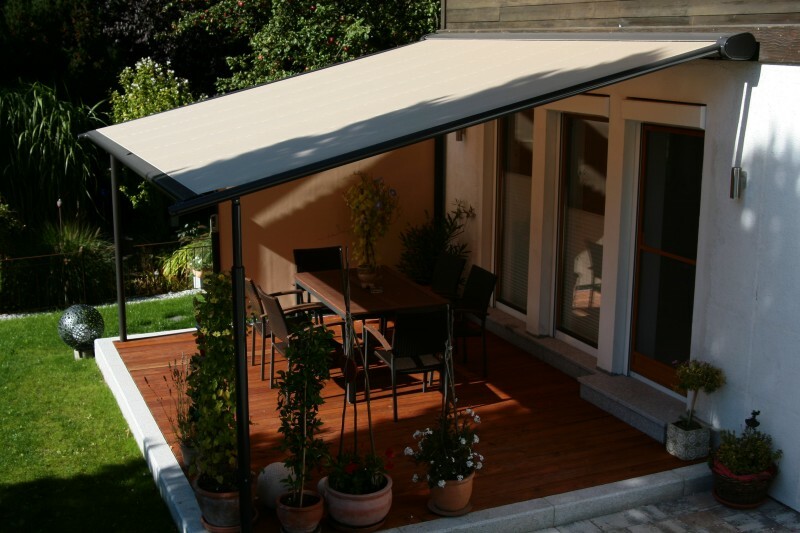 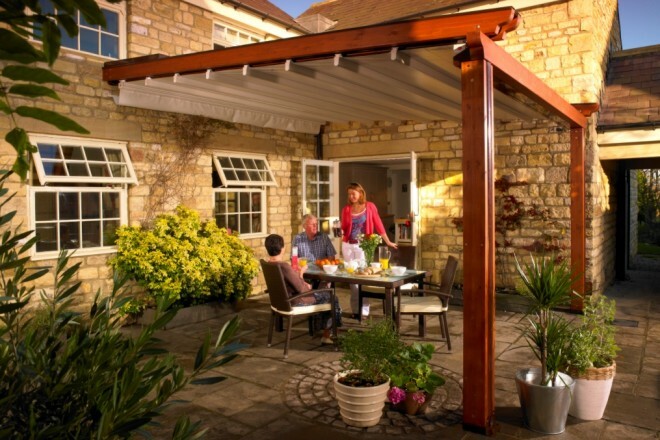 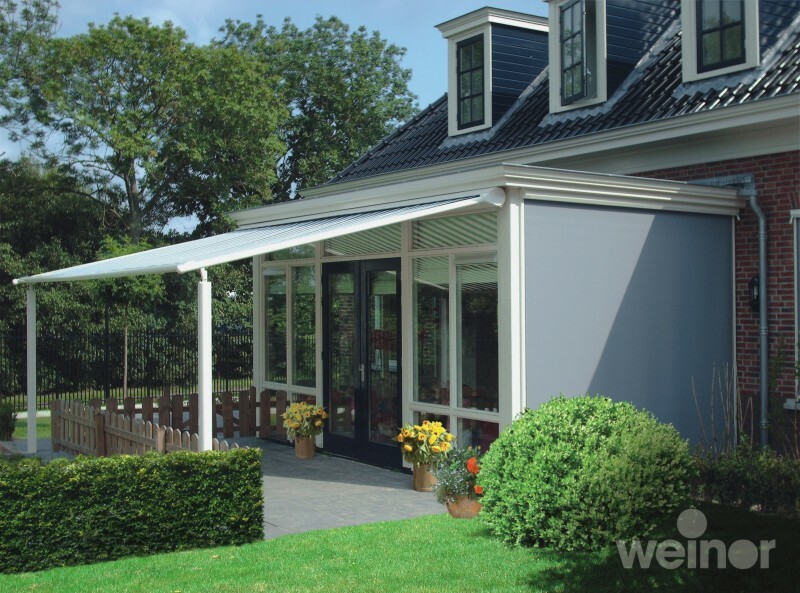 Similar to how an all weather awning can offer a reprieve from the heat, they can also provide shelter from the unpredictable rain which once made your garden patio area off limits. 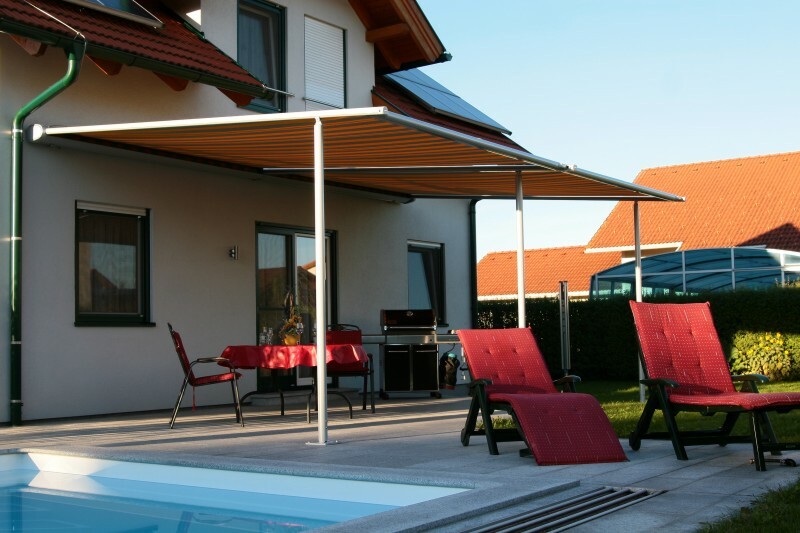 Many of the patio awnings and umbrellas installed by Samson Awnings are quite able to be left extended in light rainfall as long as the awning has enough pitch to let the rainwater run away and not ‘pool’ in the material. 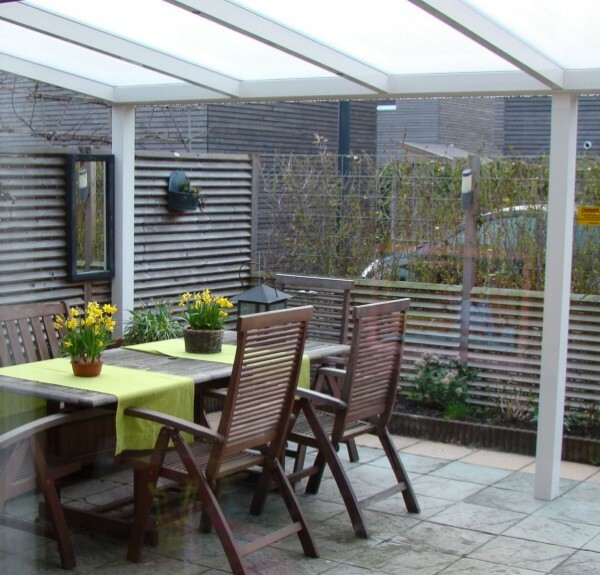 The material should however be left to dry after the rain has stopped and not immediately retracted and left wet inside the cassette housing. 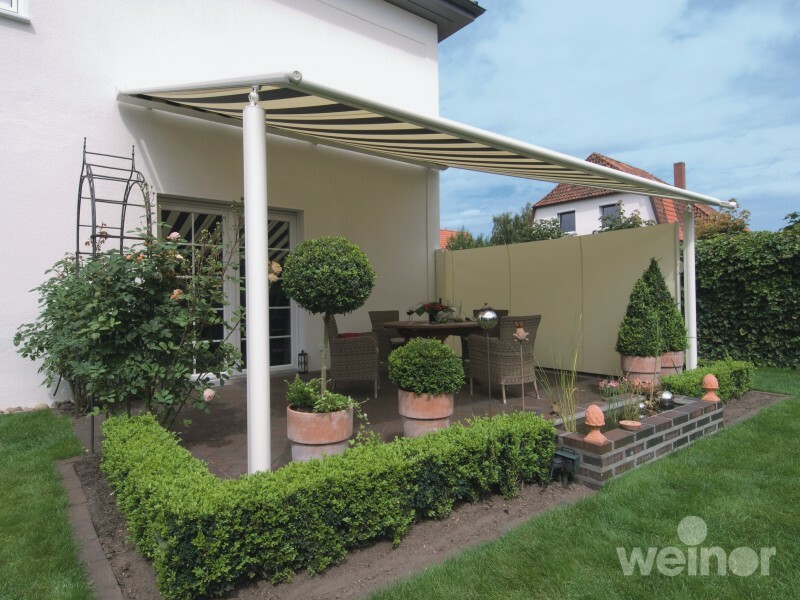 Wind of course may be the bigger enemy of the self supporting retractable awning and in exposed areas the limits can be quite low for safe use. 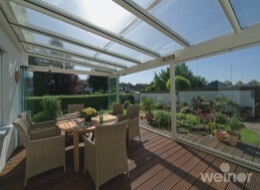 With the ever unreliable British weather, the need for an all weather solution has never been greater. 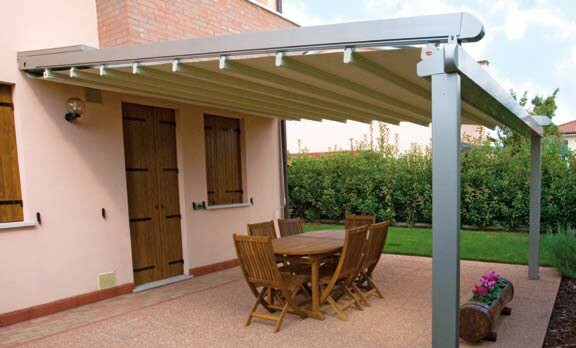 Retractable patio and terrace cover systems with supporting framework for larger areas with a higher wind rating than an awning and capable of dealing with more than just light rainfall when installed correctly. 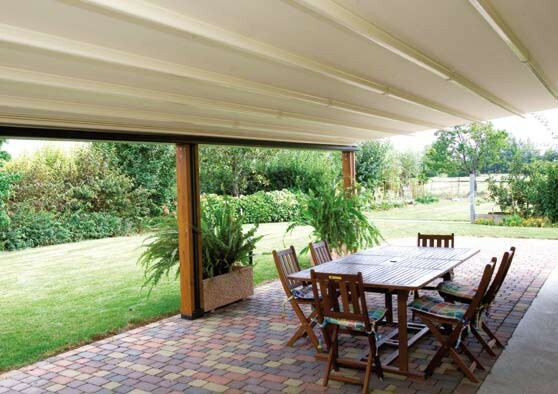 Sizes up to 12m wide and 6m projection with a new fabric zip system available to ensure the tightest of fits for the fabric down the side channels ensuring any rainwater is directed to the front of the unit. 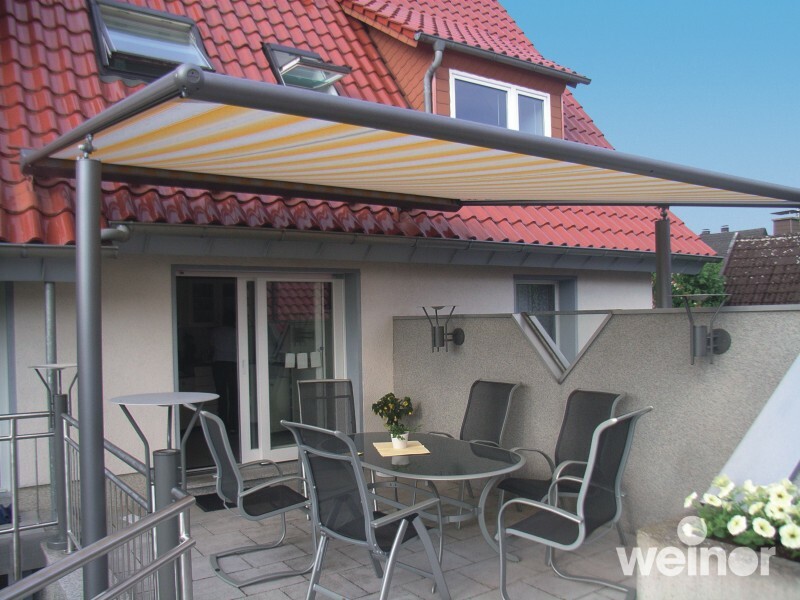 Retractable fabric roof patio and terrace cover system with aluminium support frame for large areas where a higher wind rating is required and protection from rainfall. 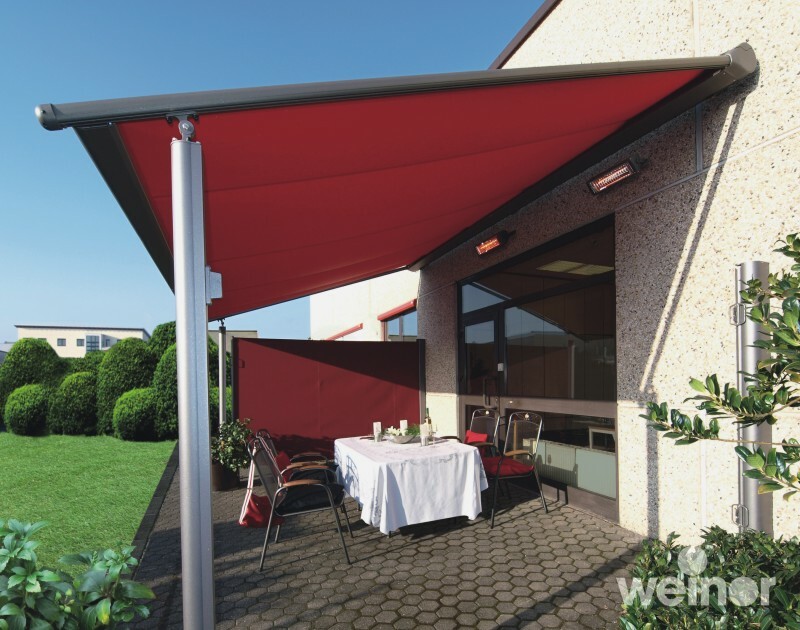 Electric operation for the main cover and over 140 options for the fabric cover with 47 colours for the framework. 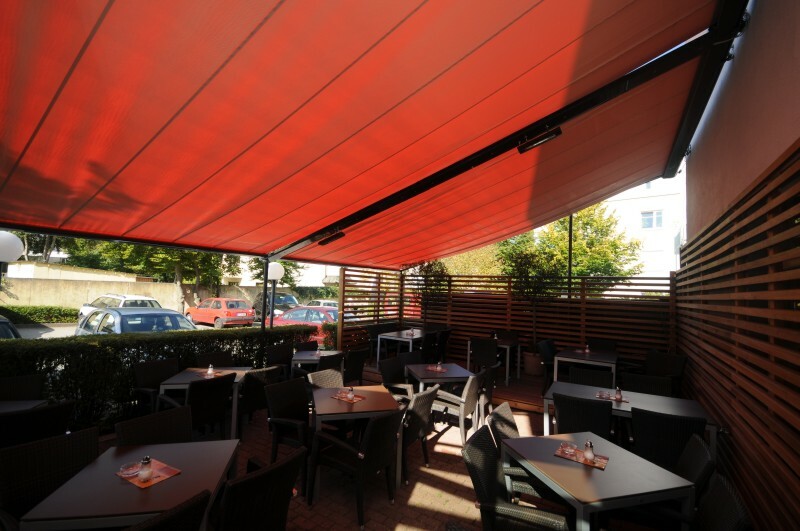 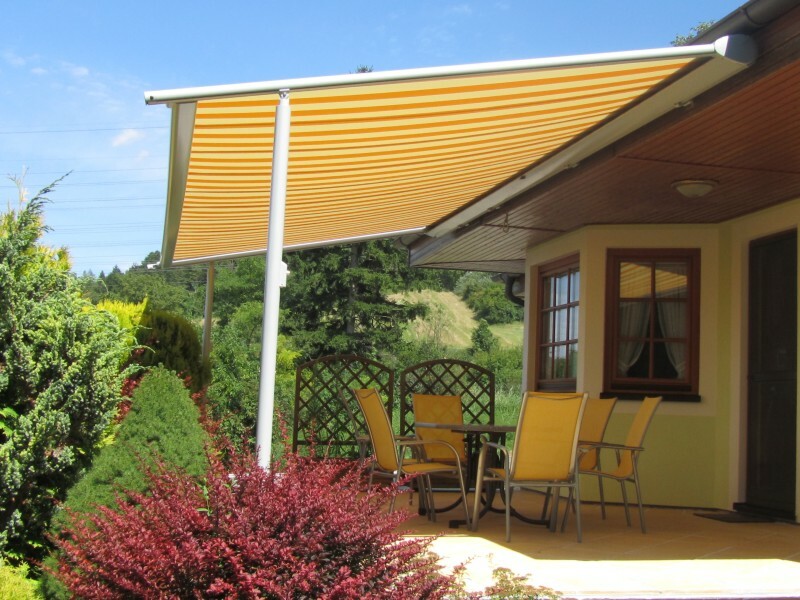 Terrace cover system with a very toughest of fabric retractable roof covers with options for either an aluminium or composite timber framework to provide very large areas capable of being covered and with the highest of wind, rain and snow loadings. 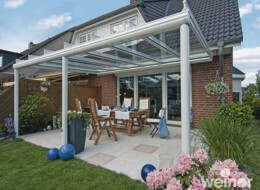 This is a system perfect for both domestic & commercial applications to make the most of any outdoor area large or small. 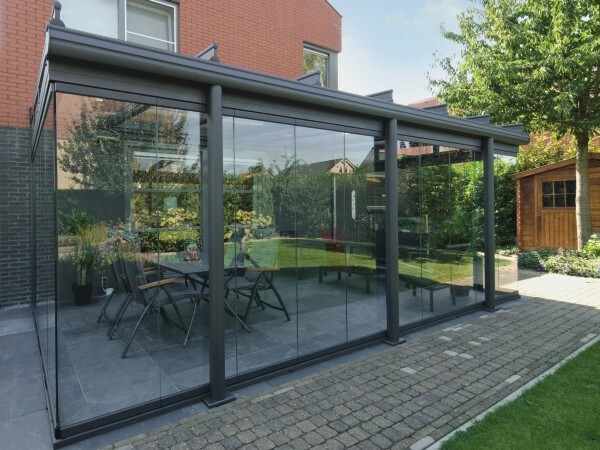 Glass Rooms are ideal structures for the garden when full visibility is required and all year round protection from all weather. 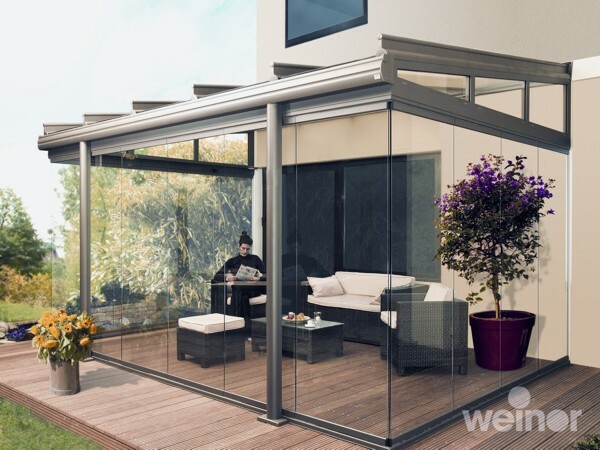 Constructed using strengthened glazing panels with a tough and stylish aluminium profile frame system, the garden glass room offers optimum all weather protection creating a ‘room outdoors’. 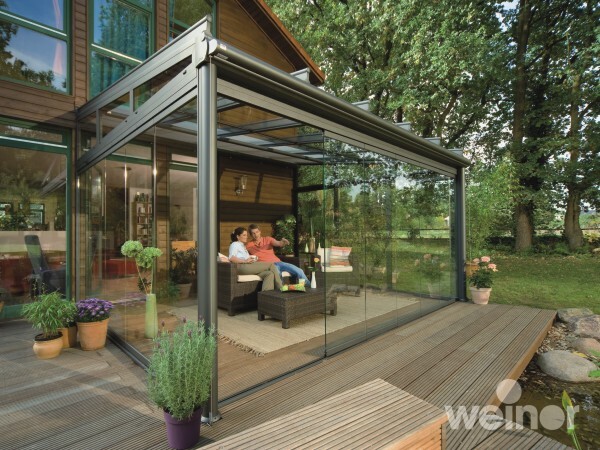 But what if you don’t want the enclosing space of a glass room on a warm day and would prefer an open al fresco area? 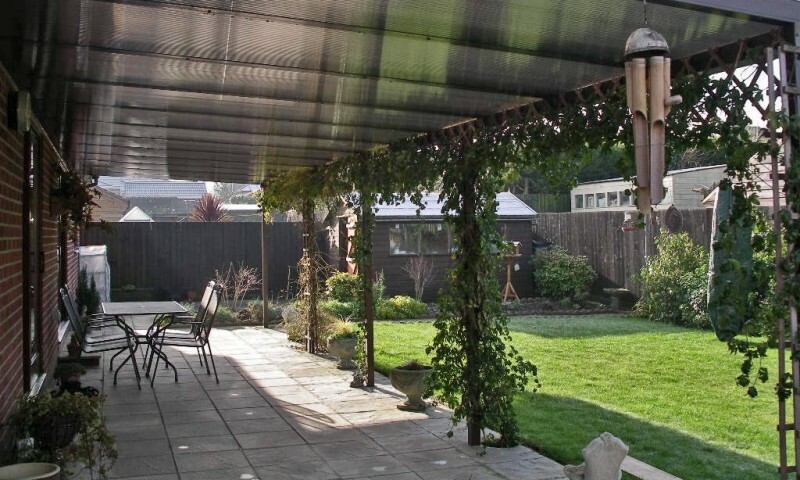 Then don’t worry. 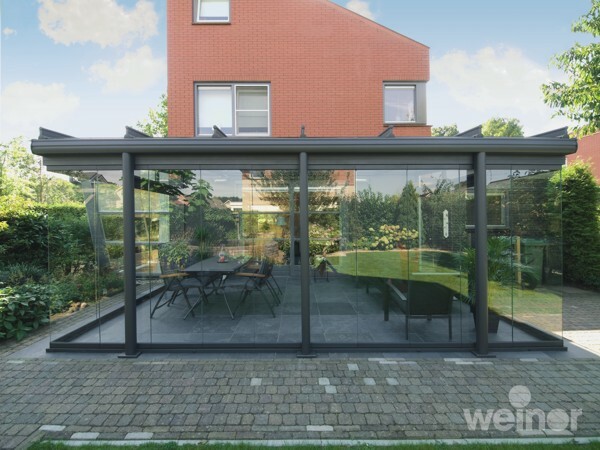 The Weinor GlasOase has folding glass panels which neatly fold away to transform the closed glass room into an adaptable open patio cover. 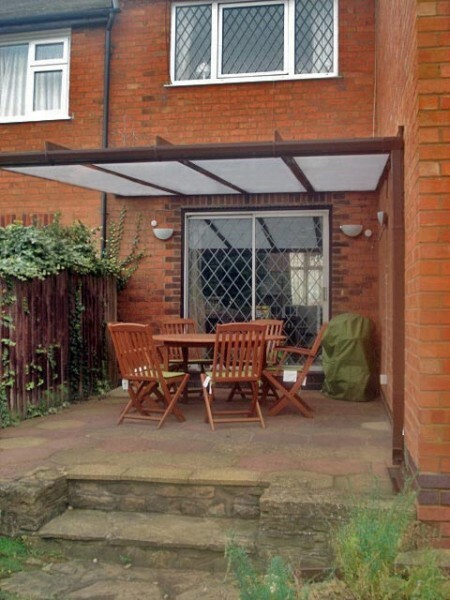 Terrace Cover is any form of small or large weather protection system for a patio, terrace, balcony or garden area. 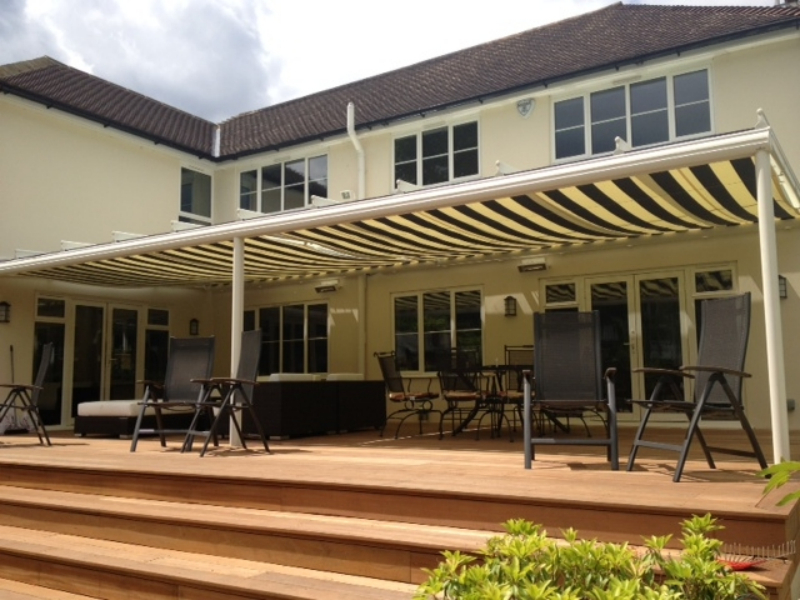 Samson Awnings supply bespoke high quality products products which are sure to meet your needs. 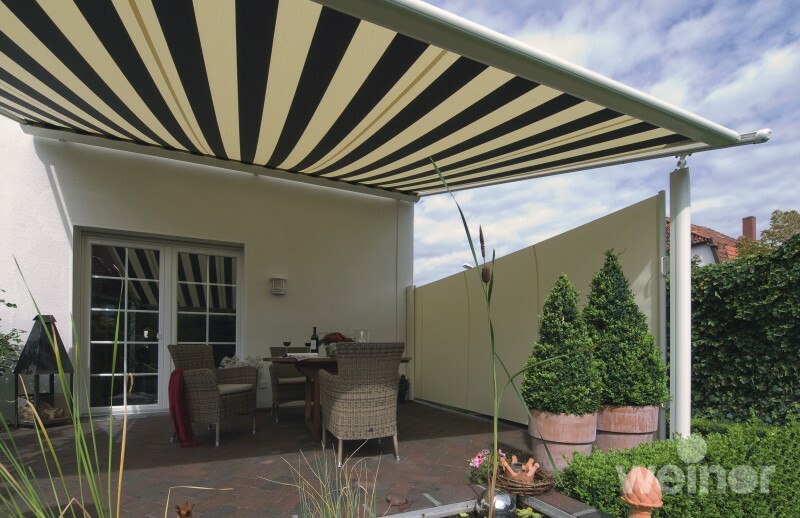 Whatever your requirement may be, experienced & impartial consultants from Samson Awnings will offer good advice and will help you avoid buying a product that may not be 100% suitable for your intended use. 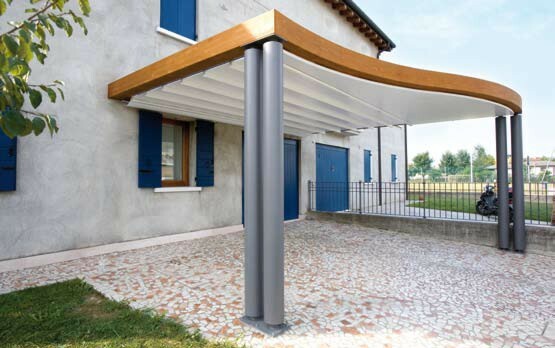 Although these products are designed for use in light rain, we recommend that common sense must be used when the awning is subjected to very heavy rain, snow as well as strong gusts of wind as this places huge strains on the arms and the fixing points – especially as our UK weather has become so much more unpredictable. 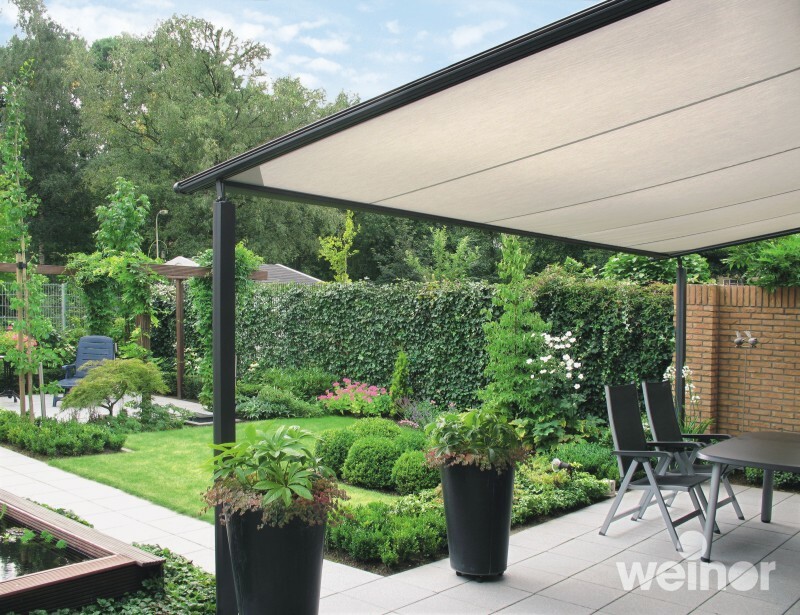 All of the products have been tested and some even have a wind rating but this is always done in a controlled environment and in the real outside world you cannot measure the weather by exact scales very easily.